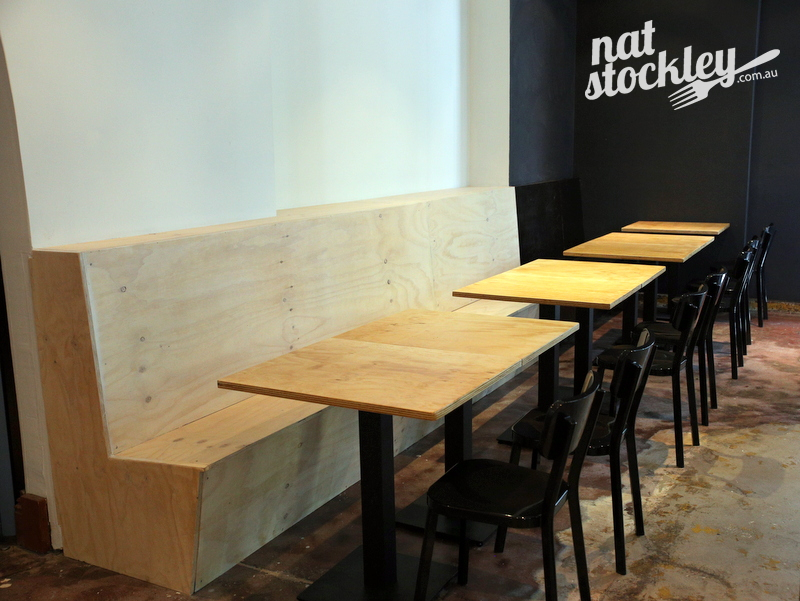 Another new burger joint? Surely we must be getting close to saturation point? 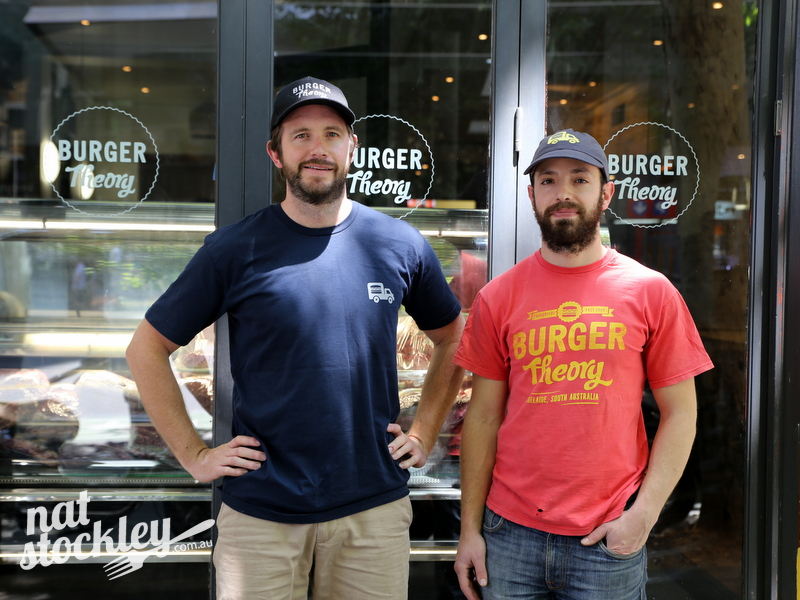 Either way, expect to see plenty more new burger establishments opening in 2016 with Neil Perry’s Burger Project about to open stores in Melbourne kicking off with a city store on Collins St. 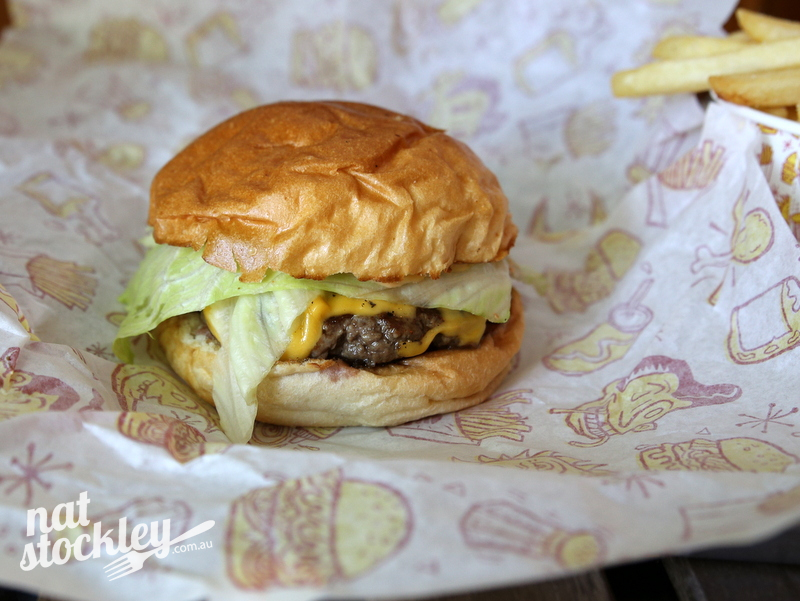 Hot on his heels is local burger mogul Dani Zeini (Dandenong Pavilion, Grand Trailer Park Taverna & Truck Stop Deluxe) who is presently setting up multiple sites to peddle his Royal Stacks brand that promises quality burgers priced around the $8 mark. 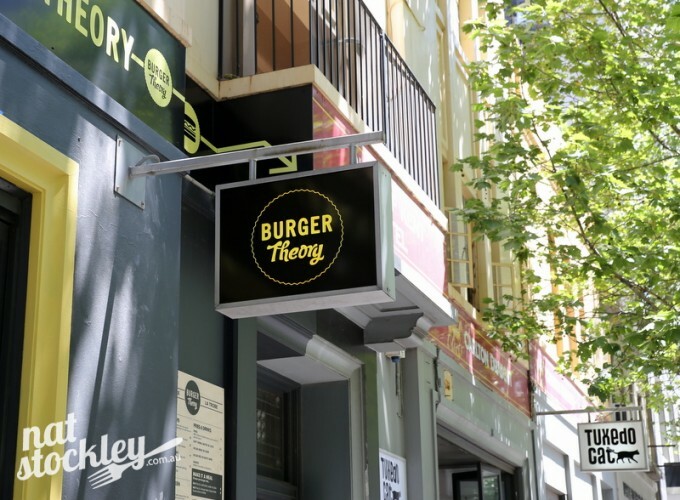 Calling Burger Theory new is actually a bit of a misnomer, as they’ve been in the game back in Adelaide since 2010. Commencing with a food truck, founders Dan Mendelson and Rob Dean gradually expanded their concept with a series of mobile and fixed location burger ventures and with some help from social media established a loyal following. 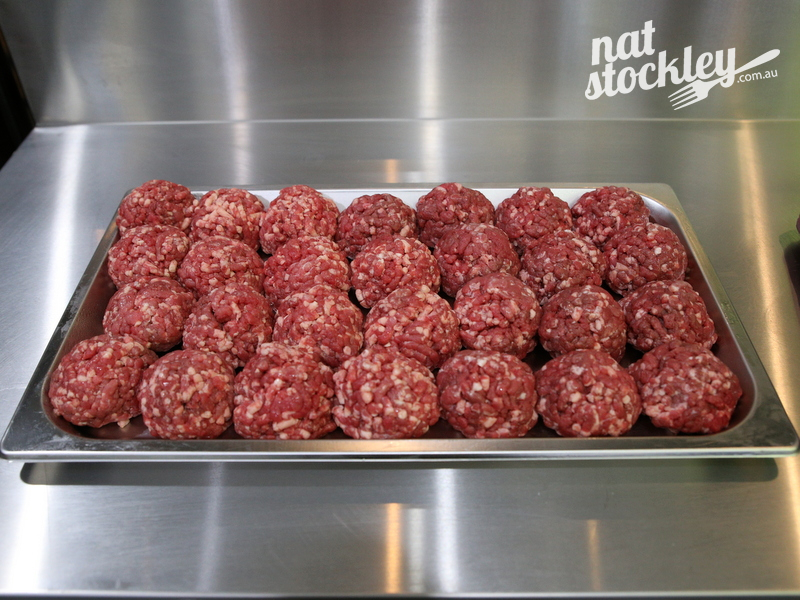 No doubt a large part of Burger Theory’s success has been due to their emphasis on freshly ground beef and controlling the grinding process in house. 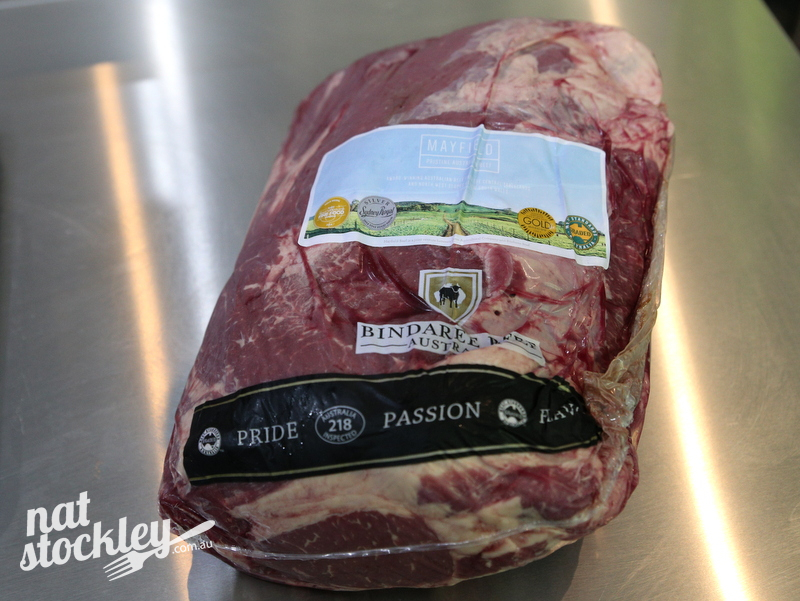 There’s a dedicated glass walled preparation room within the Melbourne site where you can witness the marbled meat (whole chuck) turned into 140 gram beef patties. The location within the old Duke of Kent hotel is shared with venue management group Tuxedo Cat, which hosts artists and various performances. 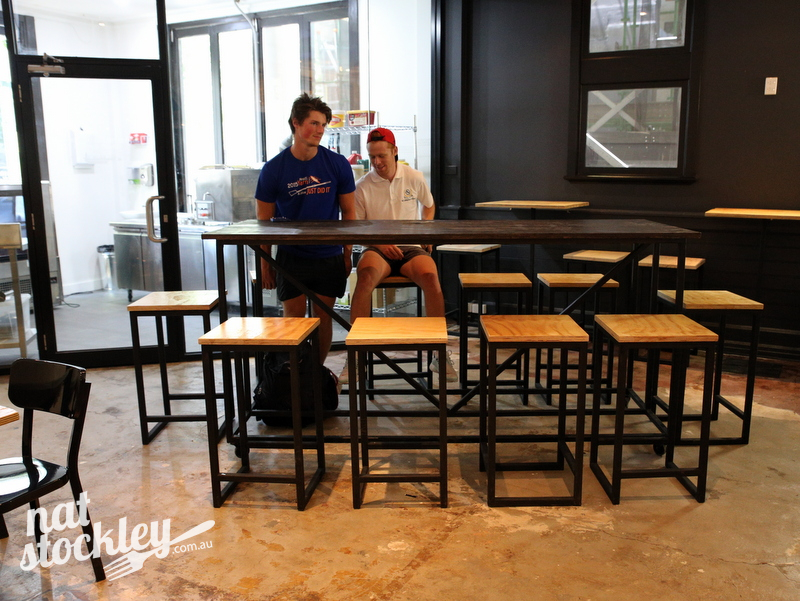 The Burger Theory portion of the venue has been stripped back to its bare bones and fitted with plywood tables and seating. 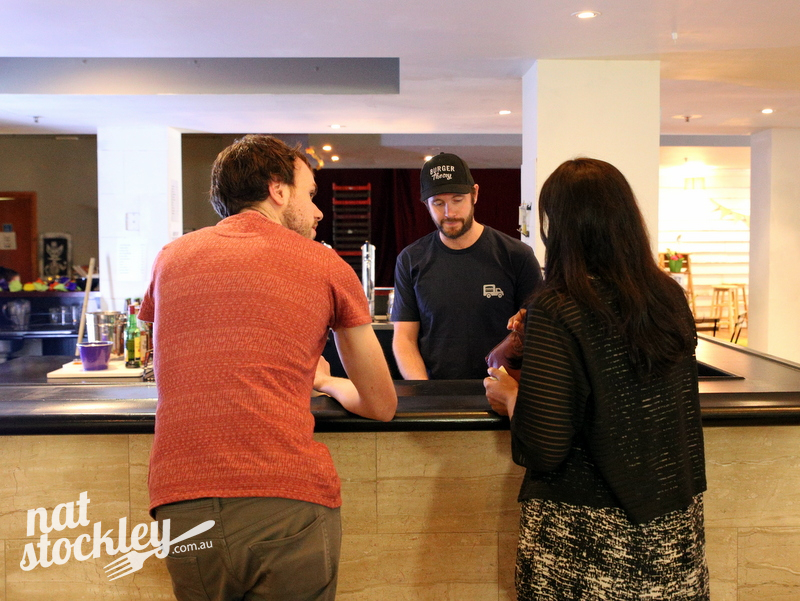 There’s capacity for around 80 patrons. Whilst it’s hard to go past one of their beef burgers, the fried chicken burgers are also created from scratch in-house using minced & battered chicken fillet. Vegans aren’t forgotten with a couple of falafel burgers on the menu. These are cooked to order in a dedicated vegan deep fryer. I keep things simple on my first visit and order the #1 Beef Burger which comes with lettuce, tomato, cheese and truck sauce. 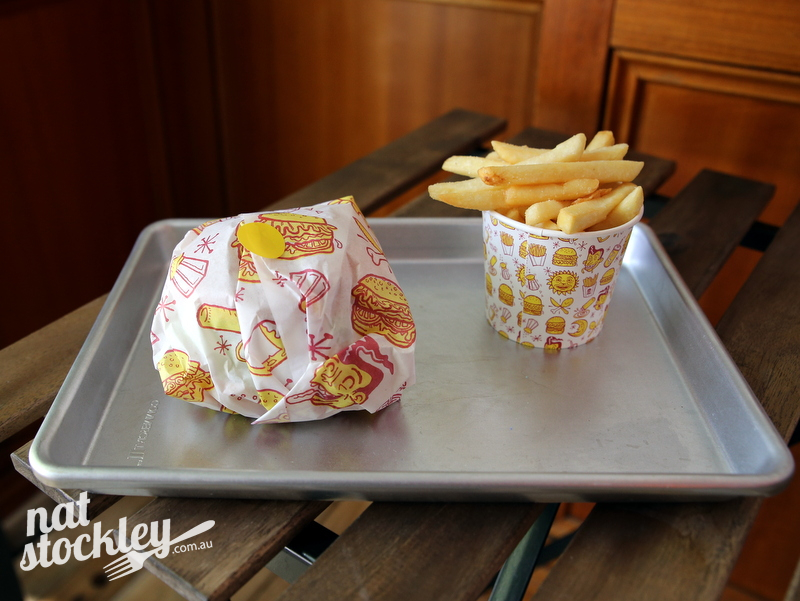 The burgers are cooked medium, however they’ll happily cook them well done if that’s your preference. I’m impressed with my burger and can’t help thinking it’s reminiscent of another old favourite of mine; The Raph Burger from Beatbox Kitchen where simplicity and quality grass fed beef are also fundamental. Other menu items include fries (plain or loaded with various toppings) and a couple of hot fruit pies which involves pastry dough being filled with fruit and deep fried. 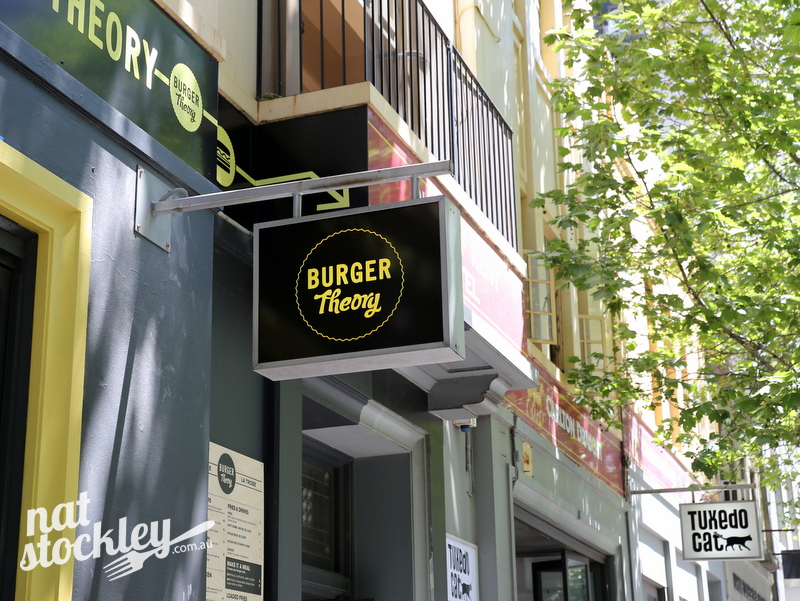 Highly recommend putting Burger Theory to the test as I hypothesise you’ll be impressed with their simple, quality burger philosophy.